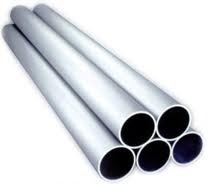 Leading Exporter of seamless pipe from Mumbai. Amigo Impex . are a stockholder of the 2205 duplex alloys in sheet, plate, and round bar with the added capability of cutting processes to meet requirements across a number of industries. Looking for Seamless Pipe ?